Family law disputes are often emotionally charged and affect the lives of every family member. Our family law attorneys at LaRoche Law have been helping families reach compromises for more than two decades. Whether you are contemplating divorce and want to know your rights or have been divorced for years and need a change in the child custody or visitation arrangements, our dedicated attorneys stand by your side from the beginning to the end of the legal process. Paul A. LaRoche is your Massachusetts family attorney with a record of success. We can avoid the family law courtroom by settling in mediation or arbitration proceedings, saving you both money and time. If you are involved in a family law issue, our competent and understanding family law attorneys are here to help. Divorce proceedings can drag on for years if the couple shared many assets, and one party is less than cooperative. Even an interfering grandparent or another third party can slow down the process significantly. With a qualified Massachusetts family attorney, you receive personal attention combined with fierce advocacy to fight for what you deserve. At our initial meeting, we discuss your needs and prioritize the items that you most cherish. Through negotiations, your dedicated divorce attorney at LaRoche Law adamantly will refuse any unreasonable offers or requests and present your case in the best light. We do not settle unless you are completely satisfied with all the terms. 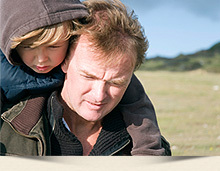 We understand the complicated emotions underlying child custody and visitation issues, and we are uniquely skilled at putting you at ease during a potentially difficult period in your life. Child support is a monetary legal obligation of a non-custodial parent. A family court orders a non-custodial parent to make a child support payment proportionate to the child's expenses. An award of child support is based on the number, age and activities of the children and the income of the non-custodial parent. A change in circumstances may necessitate a reevaluation of the support schedule. Our family lawyer serving Orange, Fitchburg and Gardner helps to enforce and protect your rights with regard to securing or paying a child support award. If you have a family law issue, contact a competent and experienced attorney today to fight for your rights. Attorney LaRoche personally meets with each client to develop a legal strategy and implements the best solutions for your particular case. If you have a question about your family law situation, call LaRoche Law today to set up a meeting. We offer flexible hours and promptly return phone calls and emails. We keep you updated and informed every step of the way. Contact us online or call 978-632-1633 today for a free consultation.